Monarch Air Group provides private air charter in Norwalk, CT. Our clients benefit from top-notch service, unrelenting dedication to safety, wide selection of aircraft, and years of experience in chartering private jets. To obtain a free quote, please use our online quoting tool provided below, or call toll free 1-877-281-3051. Monarch Air Group provides private jet charter flights in and out of Norwalk, Connecticut, USA. Norwalk is an industrial city in southwestern Connecticut, on Long Island Sound. With a population of 85,603 people, Norwalk is 6th in population in Connecticut, and 3rd in Fairfield County. It is also a part of the New York metropolitan area. The oyster farming has been important to Norwalk, which was once called as “Oyster Town”. Each year in September, Oyster Festival is held in Norwalk. The most popular tourist attractions in Norwalk include Maritime Aquarium at Norwalk, Lockwood-Mathews Mansion Museum, Norwalk Islands, The Mill Hill Historic Park and Museum, Norwalk Youth Symphony, Stepping Stones Museum for Children, and much more. The nearest airports are Westchester County Airport (HPN / KHPN), which is situated 20 miles from the center of Norwalk, Tweed New Haven Regional Airport (HVN / KHVN), which is situated 37 miles from Norwalk, LaGuardia Airport (LGA / KLGA), which is located 42 miles from Norwalk, John F. Kennedy International Airport (JFK / KJFK), which is located 48 miles from Norwalk, and Newark Liberty International Airport (EWR / KEWR), which is situated 62 miles from Norwalk. 12. FLU, Flushing, New York, United States. 13. FOK, Suffolk County, Westhampton, United States. 15. 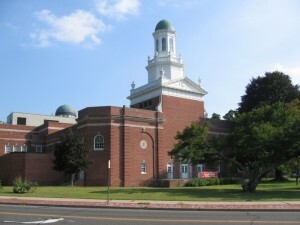 HFD, Brainard, Hartford, United States. 16. HPN, Westchester County Apt, White Plains, United States. 18. HVN, New Haven, New Haven, United States. 19. ISP, Long Island Mac Arthur, Islip, NY, United States. 20. JFK, John F Kennedy Intl, New York, United States. 1. Hilton Garden Inn Norwalk, 560 Main Avenue, Norwalk. 2. Doubletree Norwalk, 789 Connecticut Avenue, Norwalk. 3. Hilton Garden Inn Norwalk, 560 Main Avenue, Norwalk. 4. Doubletree Norwalk, 789 Connecticut Avenue, Norwalk. 5. Hilton Garden Inn Norwalk, 560 Main Avenue, Norwalk. 6. Doubletree Norwalk, 789 Connecticut Avenue, Norwalk.